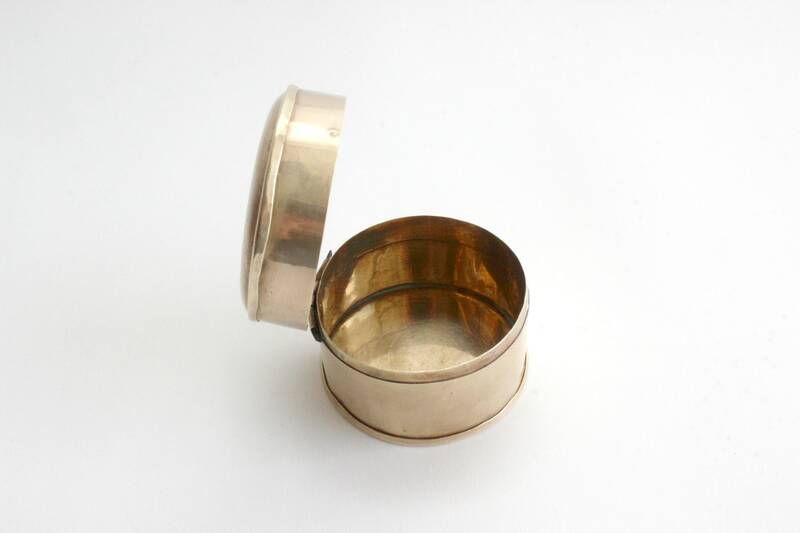 Small round brass box with flip up lid. 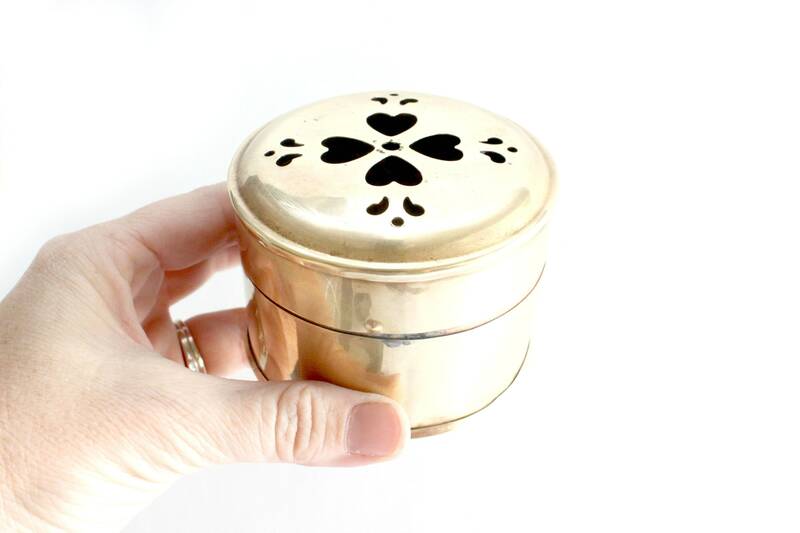 Heart shaped cut-outs on the lid. 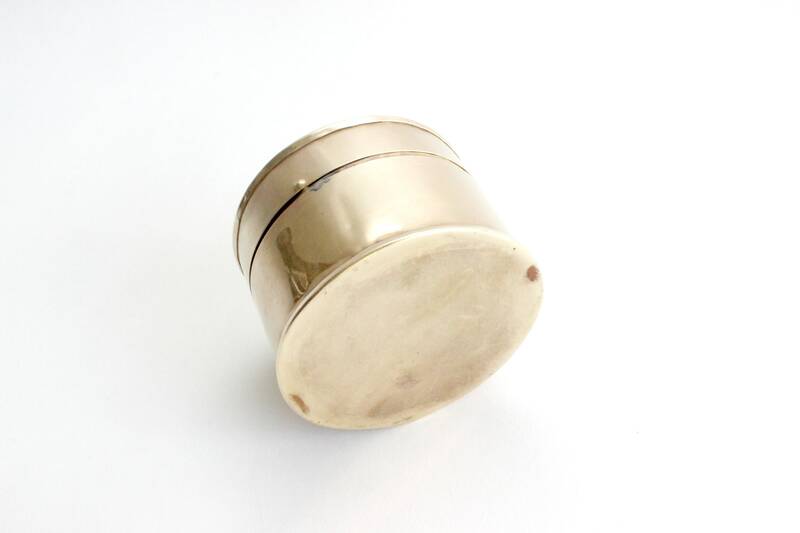 Thin brass, cricket style box, made in India. 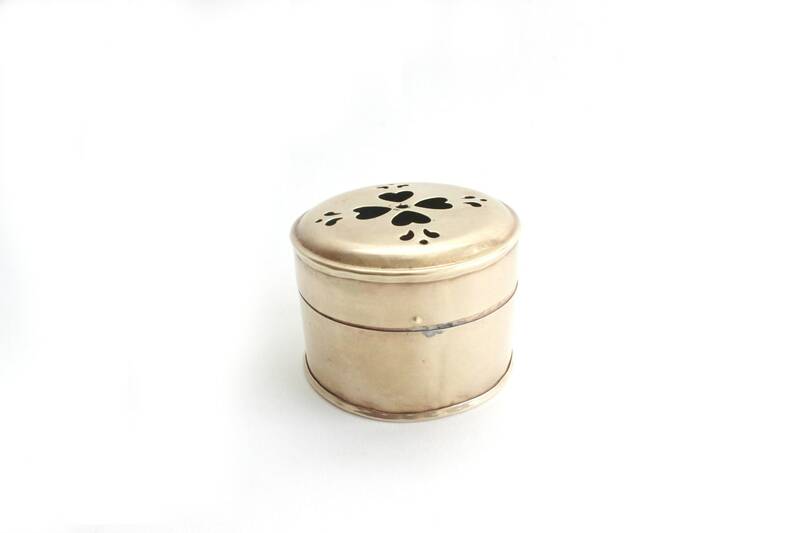 Fill with jewelry and this little box will make a great gift or stocking stuffer! Good vintage/used condition. Some wear and tear consistent with age. There is a light patina and polishing may be desired. Measures 3 inches wide and 2 inches tall.